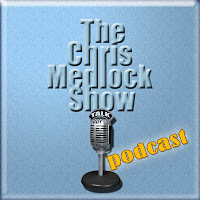 The second ever edition of The Chris Medlock Show is now available for download. Topics include the Governor's race, TPS dropping its law suit against charter schools, Bixby's city manager fight and the Tulsa World's take on all the vetoes Gov. Henry has been filing against GOP legislation. If it is an MP3, does it qualify as a 'podcast'? really trying to hear your remarks, but time getting later and later in 'nooz' cycle.